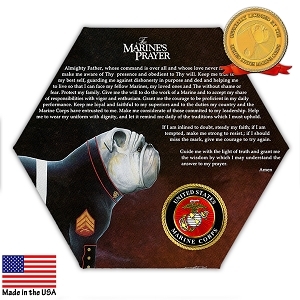 It takes a special breed to wear the Eagle, Globe and Anchor. 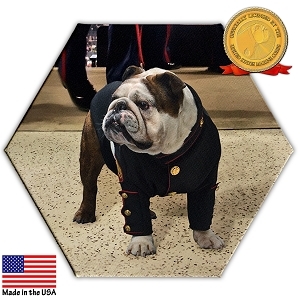 Since 1922 the original USMC Mascot and his english bulldog successors have been faithful companions to the U.S. Marine Corps. 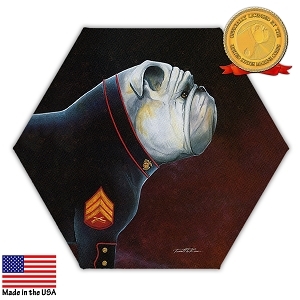 Now, that same tenacity and pride is boldly displayed in a first-ever USMC Mascot Hexagonal Canvas Set showcasing the vision of acclaimed artist Taurus O. Perkins. 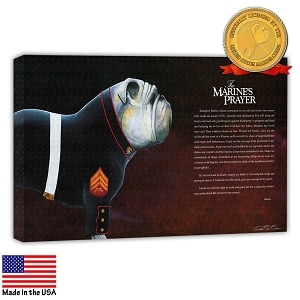 Your wall décor arrives fully assembled and includes a bubble level with hanging device for immediate display. 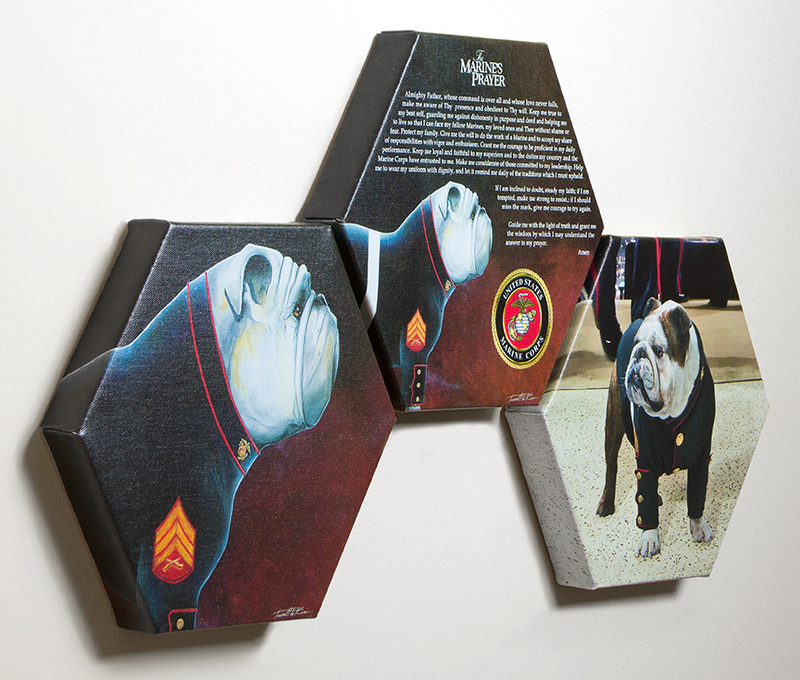 Measurements 8 1/2 in tall by 10 in wide Giclee printed on fine artist's canvas, stretched on unique hexagonal stretchers and ready-to-hang.